Since any particular trash burn is made up of several materials, it can result in different mixtures of chemicals released in the smoke. Because of this, it is difficult to quantify the levels of exposure to harmful chemicals that an individual service member may have had. person’s exposure is also dependent on how close they were to the burn pit, in which direction the smoke was blowing and the length and frequency of their exposure. There is little actual testing data that measured levels of possible toxins in individual service members’ breathing environments when burn pits were in use. Short-term health effects can include nausea, headaches and irritation the eyes, respiratory tract, nose and throat. For the majority of healthy service members, these symptoms tend to go away or resolve soon after the exposure ends. Long-term health effects can include skin conditions and problems with the respiratory system, eyes, liver, kidneys, central nervous system, cardiovascular system, reproductive system, peripheral nervous system and gastrointestinal tract. Currently, the V has not approved any presumptive conditions relating to burn pits due to limited scientific studies; however, you can still file a service-connected disability claim if you feel you have a condition or conditions caused by exposure to burn pits. Your claim will almost definitely be denied but at least you have it on record if the condition(s) is approved as a presumptive condition in the future. 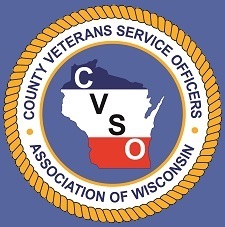 s always, contact your County Veterans Service Office for more information.